Sometimes, you find yourself in a really great campsite. Last weekend was one of those instances. 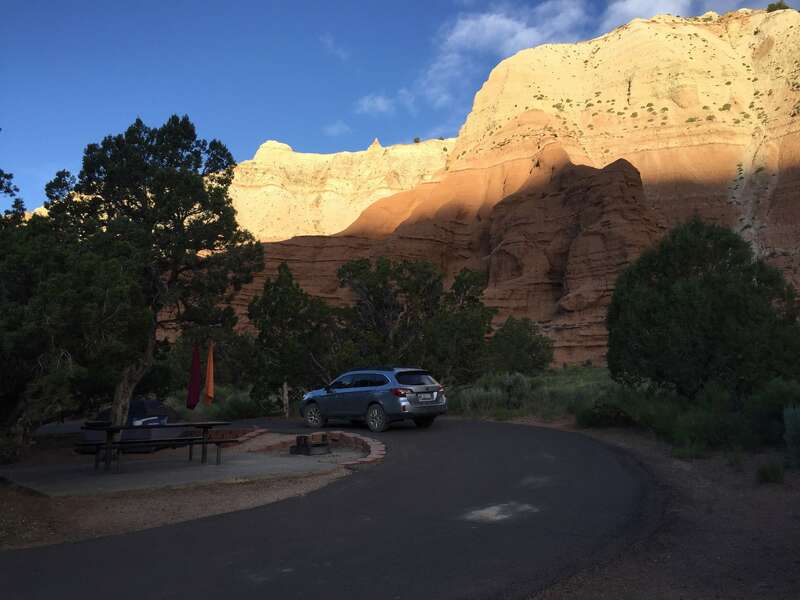 While we often disperse camp on BLM or National Forest lands, we had decided to reserve campsites last weekend, given our rather aggressive itinerary. Kodachrome Basin State Park seemed like the natural first night’s stop, since we’d be driving Cottonwood Canyon north through the middle of famed Grand Staircase-Escalante National Monument. We selected site 12 from the available options, and it did not disappoint. For me, there are a few things that I tend to prefer in campsites. Please note that I’m referring to developed campgrounds here—not dispersed or backcountry sites, which I’d evaluate using much different criteria. 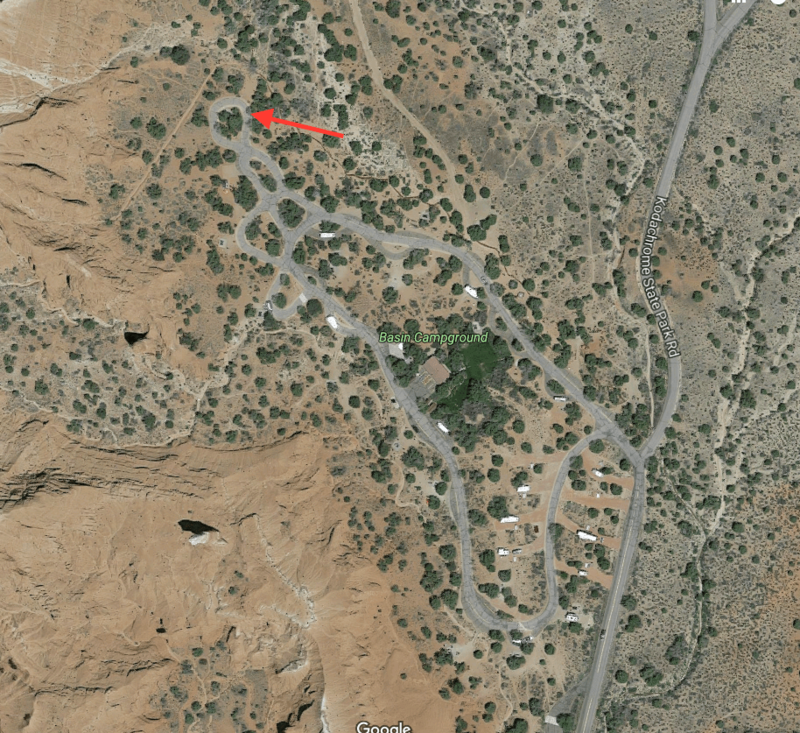 First, I prefer small to medium-sized campgrounds, usually between about 15-40 sites. Larger campgrounds tend to have very small sites that feel nearly on top of each other, and tend to be more crowded to begin with (hence, their large capacity). Extremely small ones often lack useful amenities, like flush toilets and sinks. Don’t get me wrong, I’m fine using vault toilets and otherwise roughing it. But if I’m paying $15-30 for a place to sleep for the night, I expect a few additional conveniences. It’s often nice to have showers too, especially if you’ve been outside all day. I tend to sleep better when I feel clean. I don’t rely on firewood being available for purchase at the campground, but it’s always nice to have as a backup or supplemental option. 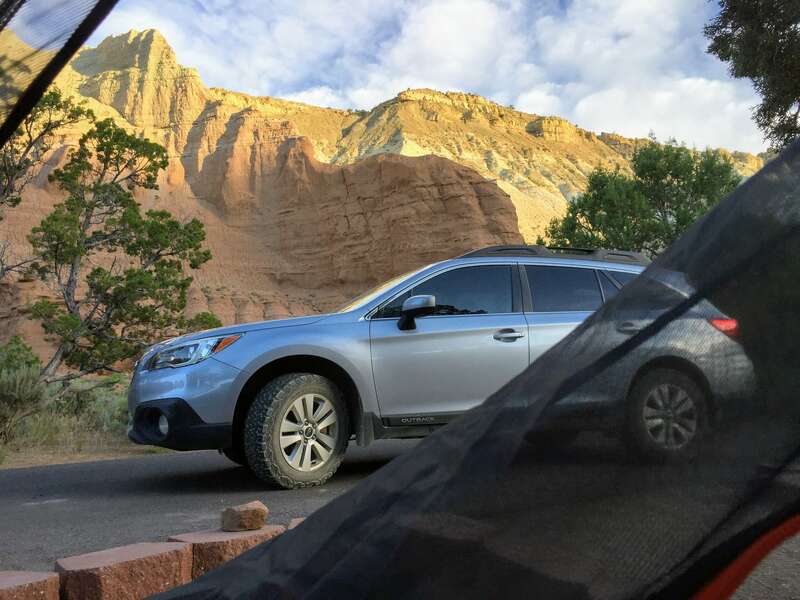 While campgrounds can sometimes be a fun social experience, I usually prefer more privacy. So I look for sites along the outer loops and especially those that have a visual barrier between my site and neighboring ones. Shade can be an important factor too, especially here in the desert southwest, so some tree cover or a shade structure is often appreciated. I usually don’t care much about distance to the restrooms or water spigots; neither is usually too far way to cause much hassle. However, the inverse isn’t true—proximity to the restrooms or water can mean a constant stream of visitors passing by your tent. Worse, occasional whiffs of an overly ripe vault toilet can really ruin the camping mood. If you’re tenting it as I often am, a flat tent pad that’s not too rocky is key. After that, it’s all bonus. 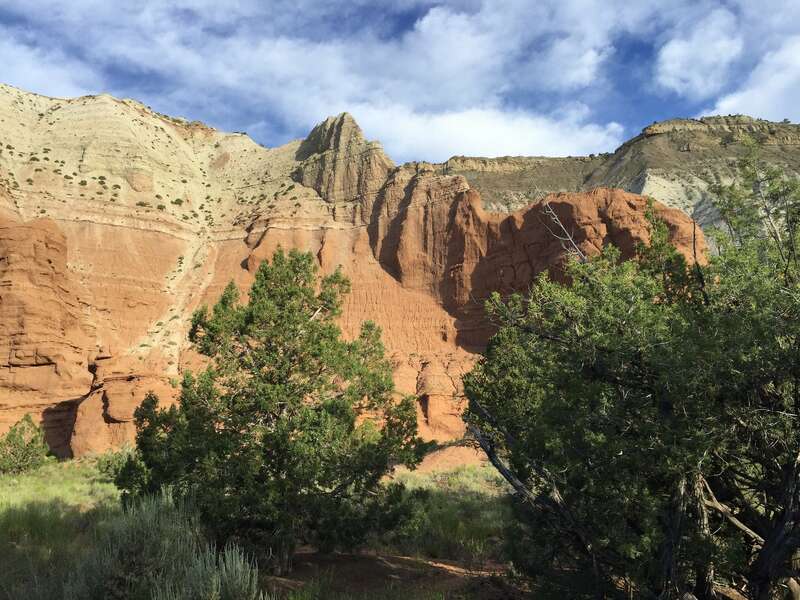 Being a westerner, I have a relatively high expectation that really good campsites should offer some sort of expansive or scenic views, too. Proximity to streams or lakes is usually nice as well, though sometimes that means more bugs or higher winds. 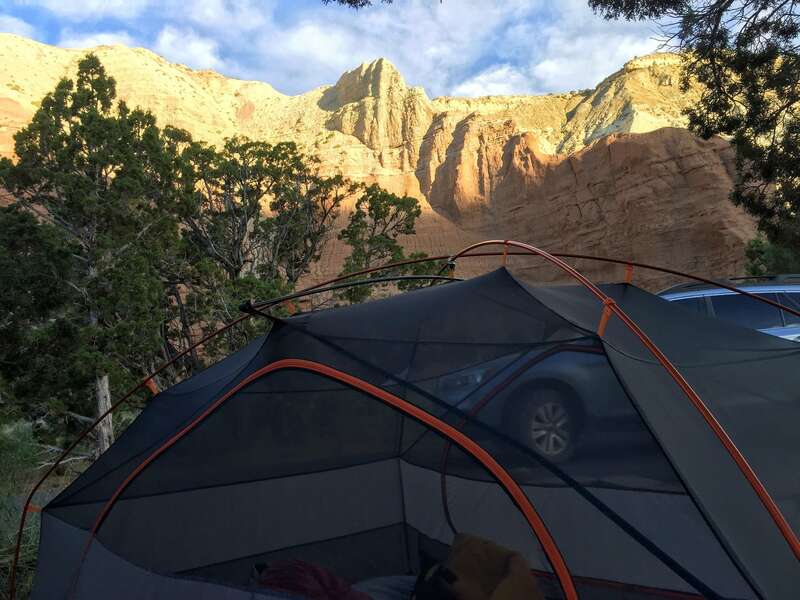 On par, campsite 12 was nearly perfect for our needs last weekend. 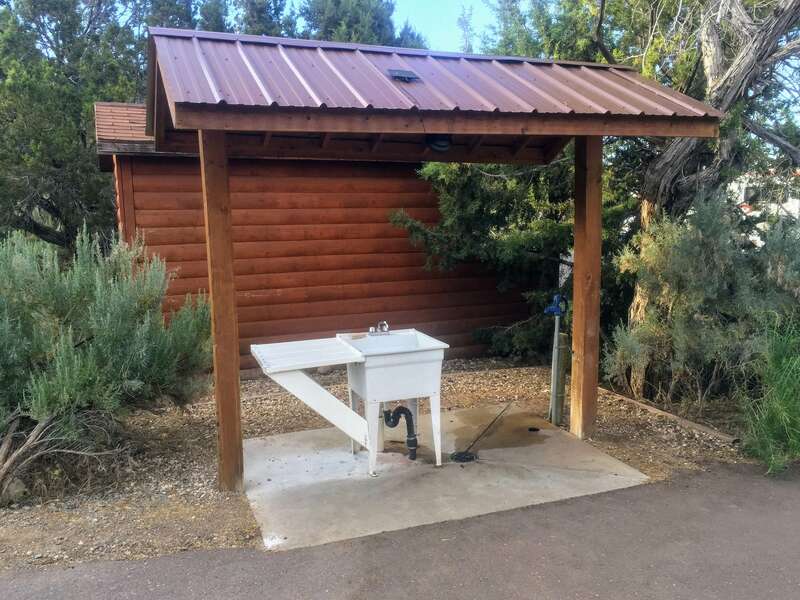 The campground is the perfect size, and offered just the right amenities. 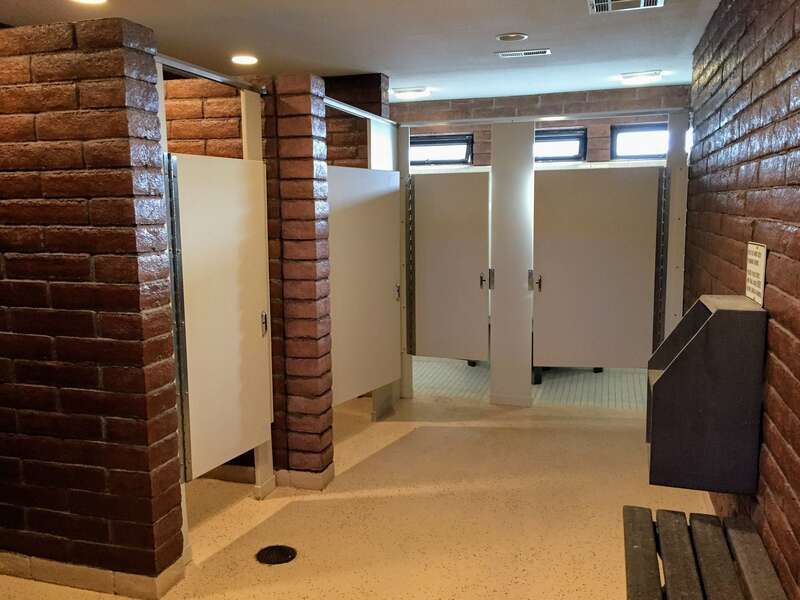 The restrooms were clean and modern, and the shower stalls were spacious. While there wasn’t any way to adjust the shower temperature, it was exactly the right temp for me. 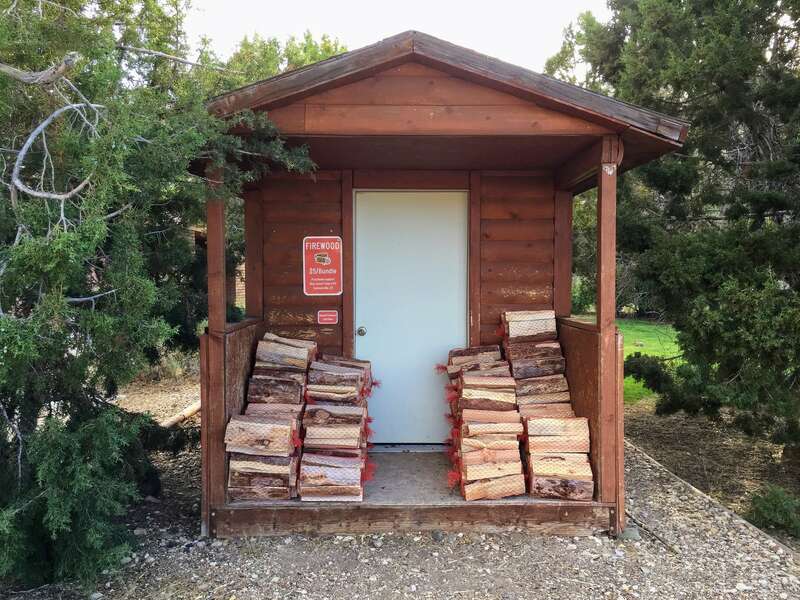 In addition, a sink for washing dishes and a self-serve supply of firewood—a handy to carry bundle for just $5, with proceeds benefitting the Boy Scouts—were appreciated conveniences. The site is well isolated from neighbors with its own mini loop, making it feel like you were alone. 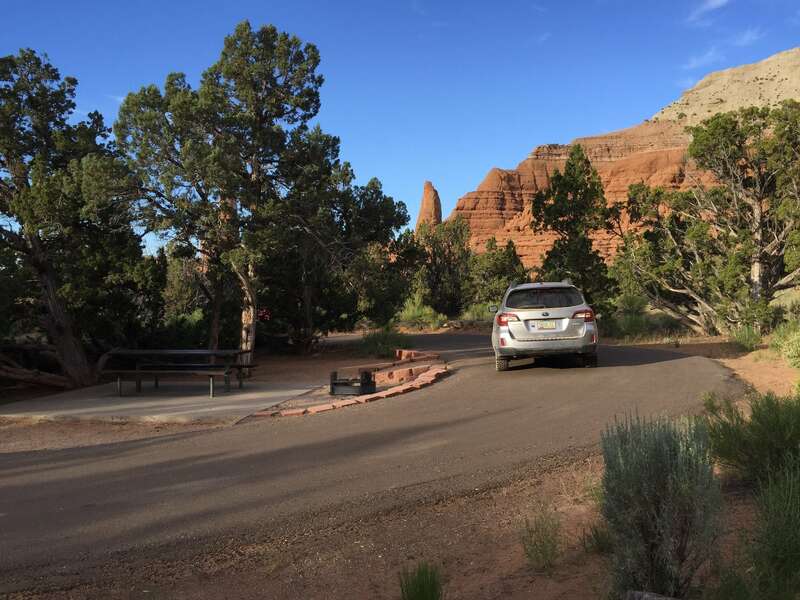 Due to the configuration of the campsites, all RVs were on the other side of the campground. 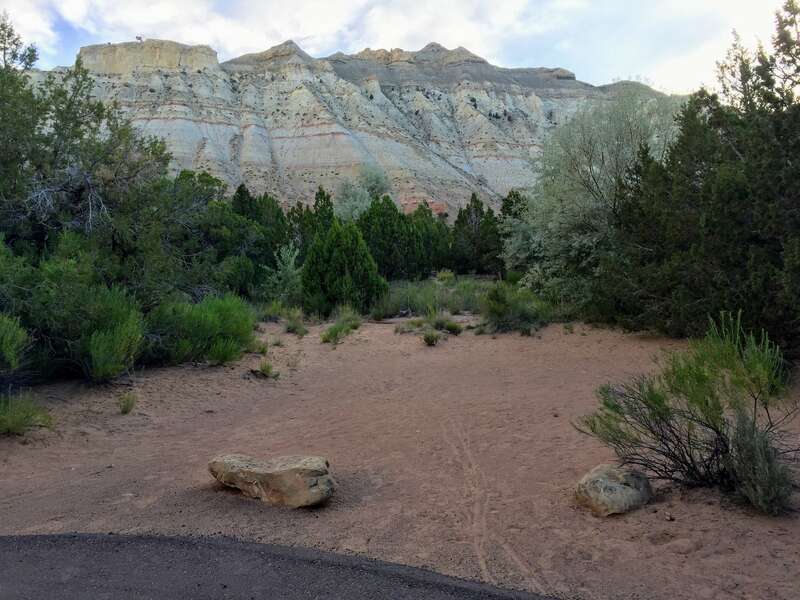 Best of all, it was at the far end of the campground near the head of the basin, making for some excellent panoramic views. We’ll be back the next time we find ourselves looking for a campground in the area. 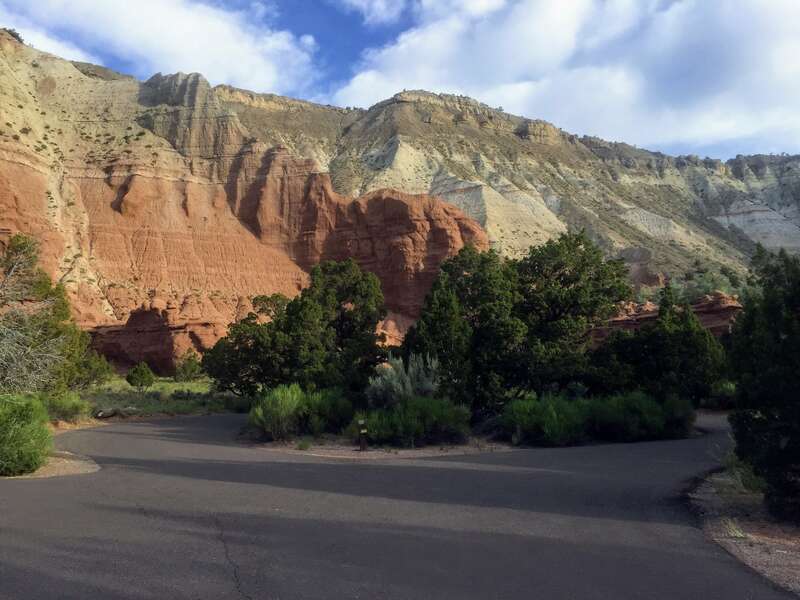 There are multiple campgrounds atat Kodachrome Basin State Park, but the one you’re looking for is the largest one, Basin Campground. 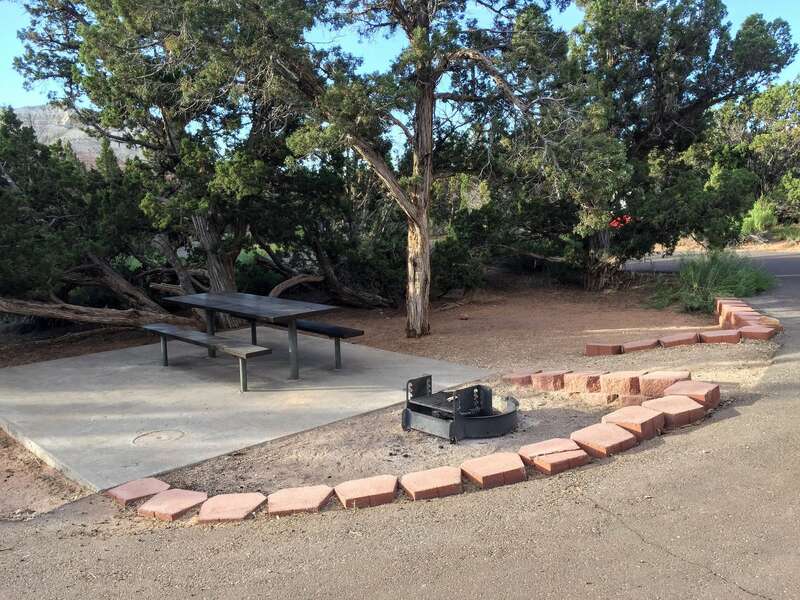 Campsites are $20 per night, plus an $8 registration fee. Check availability on site 12; if it’s already taken, there seemed to be several other sites that looked like quality backup choices. Not all sites are reservable online, so you might be able to snag one on a first come, first served basis, too.